This book is highlighted & Tabbed for better reference. Industry-driven changes in the 2008 NEC® redefine electrical safety! Order your copy TODAY! Be prepared to comply in the new era for electrical safety. The NEC protects the public by establishing requirements for electrical wiring and equipment in virtually all buildings. The field’s most important document is revised based on new technology and industry needs. Order your 2008 NEC Softbound to stay competitive and up-to-code! 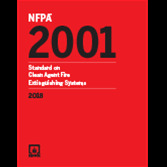 Revisions in the 2008 NFPA 70®: National Electrical Code boost public safety, emergency preparedness, Code usability, and worker protection. Only the 2008 NEC includes the latest rules for electrical installation in residential, commercial, and industrial occupancies……….